Information on taking the CELBAN exam in Ottawa and the path for finding a tutor or self-studying CELBAN in Ottawa. 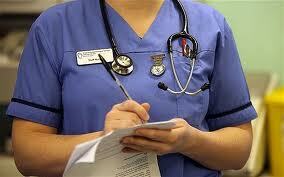 ​CELBAN is that it is very relevant to the nursing profession and so you may find it a fairer test. You probably do not need to self-study it as much. The main thing is understanding the parts and what to expect. The types of tasks should be what you already experienced in your training. There are few courses and tutors for CELBAN. CELBAN fills up very quickly and there is only one testing center (see below under Test Dates and Locations). It is generally not a problem to get a booking for CELBAN lessons. All CELBAN lessons are 2 hours at $60/hr or $120/lesson and involve a free consultation at the beginning to determine needs and level. The first lesson is payable after the class. After the first class, 4 subsequent classes must be paid in advance. ​If these are times that are suitable for your schedule, go to the registration page or email at info@tpstests.com. We do try to update changes immediately but please confirm anyways with an email or phone us at 613 447 1622. ​TPS Online classes are equipped with the technical ability to share screens and sound and the only thing we expect from you is to have a skype account and a working microphone. Headsets are advisable but not compulsory.